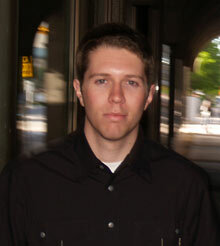 In 2001, Garrett Camp and two friends began working--"out of our bedrooms," he says--on a tool to help people serendipitously discover interesting Web content. Camp, who was then a grad student in software engineering, has guided the research behind the site and the design of its architecture ever since. In May, eBay acquired the Web 2.0 "discovery engine" for approximately $75 million. As of July, more than three million users had downloaded the ­StumbleUpon toolbar; the simple interface consists of a row of about 15 buttons at the top of a Web browser. Clicking "I like it" when viewing a site amounts to a recommendation; clicking the thumbs-down button submits a negative review. Clicking "Stumble­" takes a user to one of more than 10 million sites recommended by friends or other users with similar interests. The system refines individual recommendations on the basis of the user's previous reviews and the preferences of users whom the site judges to have similar tastes. So what kinds of sites has Camp stumbled upon? Take a sneak peek here. Where cabs go in San Francisco. I discovered this through a journalist whom I had friended on StumbleUpon, and it was developed by Stamen Design (which did Digg Swarm) right here in SF. A visual history of audio sampling. A great depiction of how hip-hop and electronic music have sampled from earlier musical forms since the mid-1980s. How to get to a human operator when calling for support. Definitely an example of a site you probably wouldn't search for, but a great find once you stumble upon it. Twittervision is a mashup between the text-message blogging service Twitter and Google Maps. It shows you what people across the globe are blogging from their phones at this moment. A visual exploration of computation using Flash. StumbleUpon is great for discovering graphical content such as art, photos, and videos, and this is a perfect example of a graphics-rich site that doesn't contain a lot of keywords you might search for yet is an interesting discovery when you're stumbling through graphics or design sites. "Endless possibilities demand impossible commitments of time and energy. It fails to discriminate between what is wise and useful and what is merely possible. We end up forgetting things necessary for a truly satisfying life to make time and space for trivia." At least we get to waste time posting comments bemoaning the time we waste!